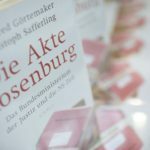 Contributors to a new book of essays written by the descendants of Jews who were deprived of their German citizenship by the Nazis will discuss their stories of returning to Germany and reclaiming German citizenship. 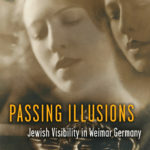 In her new book, Kerry Wallach examines the politics of Jewish identity in Weimar Germany and the ways in which Jews concealed or revealed their identities. 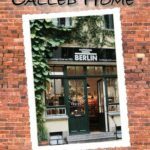 With moderator Noah Isenberg (The New School) she will explore facets of Jewish visibility reflected in the new German television series, Babylon Berlin. 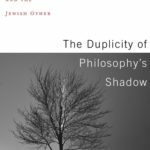 Elliot R. Wolfson and Shaul Magid speak about Wolfson’s highly anticipated new book, The Duplicity of Philosophy’s Shadow: Heidegger, Nazism, and the Jewish Other. In spite of Heidegger’s explicit antisemitic statements, Wolfson reveals some crucial aspects of his thinking that betray an affinity with dimensions of Jewish thought. 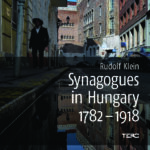 Rudolf Klein, professor of modern architectural history at Szent István University, Budapest, will give a talk on his new book, Synagogues in Hungary, 1867–1918 (Central European University Press, 2017). 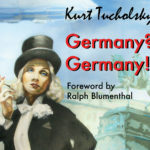 Kurt Tucholsky is one of Weimar Germany’s most celebrated literary figures, loved by his many readers and hated by the Nazis. A forthcoming re-issue of long out-of-print English translations by Harry Zohn will re-introduce Tucholsky’s satirical masterpieces to today’s readers. Representatives of the German Justice Ministry and the authors of a new study on the involvement of former Nazis in the ministry’s early post-war history will discuss the role of the judiciary in the development and preservation of democracy. 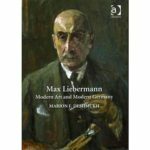 Through a close reading of key paintings and by a discussion of his many cultural networks across Germany and throughout Europe, this new study by Marion Deshmukh illuminates the painter Max Liebermann’s importance as a pioneer of German modernism. 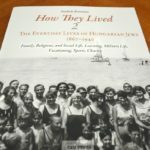 Supported by more than two hundred photographs, the second volume of Andras Koerner’s history, “How They Lived – The Everyday Lives of Hungarian Jews, 1867-1940” shows how the diverse groups of Hungarian Jews lived their everyday lives—how they raised their children, spent their leisure time, practiced their religion, performed their charity work, and more. On this evening, George Prochnik presents his bildungsroman on Gershom Scholem, one of the twentieth century’s most important humanist thinkers. 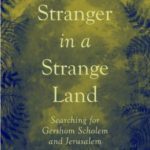 Prochnik traces the lifeline of Scholem, and weaves it with an intimate story of his own youth, marriage, and spiritual quest in Jerusalem. In the new history, We’ll Always Have Casablanca, film historian Noah Isenberg gives a rich account of this beloved movie’s origins. 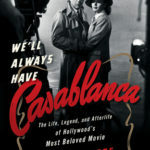 Through extensive research and interviews with filmmakers, film critics, family members of the cast and crew, and diehard fans, Isenberg reveals the myths and realities behind Casablanca’s production, focusing in particular on the central role of refugees—nearly all the actors were immigrants from Hitler’s Europe.